Make animated GIFs with crafty supplies and software that you can can use, build, share, and hack all in your web browser. Meemoo can be used for all kinds of audio/visual hacking. It works with MakeyMakey and Arduino. 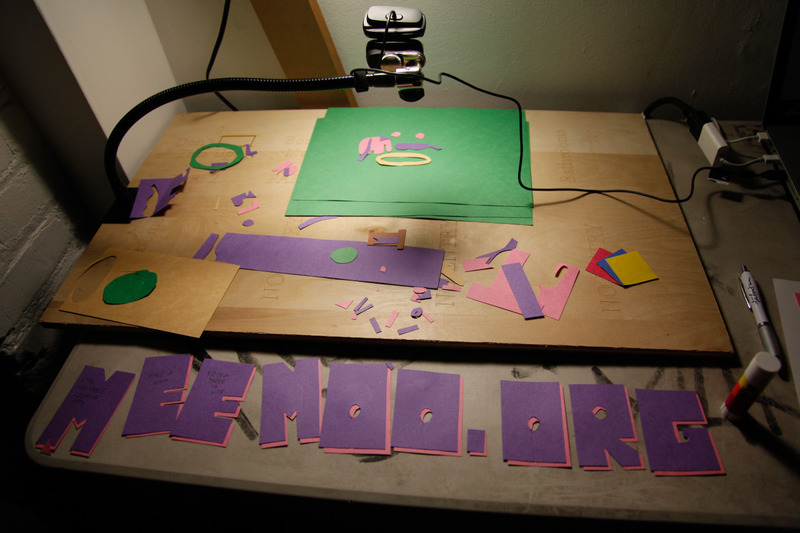 In both the booth and performance, a station is set up with camera, green screen, and crafty supplies. People start by making characters to animate, then take a picture for each frame of animation. When ready, the animation can be published to the web (and/or screen in the performance).